After of her mother’s murder, Thandisha is placed in the care of a maternal grandmother so absorbed in her own grief, she is incapable of providing an environment for Thandisha to heal. Thandisha finds solace in the arms of Andreas, her first love. Her life spirals out of control after an unwanted pregnancy leads to a drug addiction. In order to heal, she is forced to journey 360 Degrees to the day her father killed her mother. 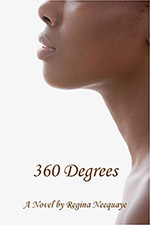 The multi-dimensional characters in 360 Degrees will stay in your heart long after you turn the last page. Ayanna Williams has it all, wants more, and will do whatever it takes to get it. Her promotion to Senior Deputy Assistant to the District Attorney is the next move to her best move. Jefferson Thomas is a handsome, politically connected, business man who finances many key players in the political class. Ayanna and Jefferson find themselves for the second time on opposite sides of justice. Bringing Jefferson Thomas down is the catalyst for her next, best move. It was a bang heard from one end of Central Drive to the other that connected lives that otherwise would not have crossed paths. Josh McCown the product of affluence finds himself stuck on Central Drive to afraid to move away from sources that keep him from being dope sick. Benazir betrays culture and tradition falling in love with the unusual usual suspect in the murder of a detective loved by the community. 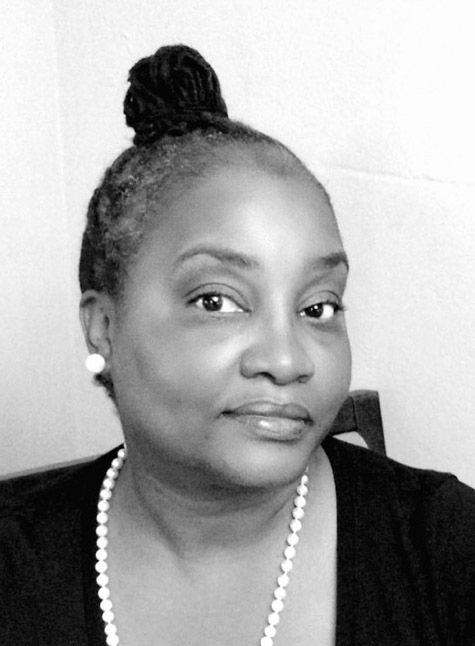 Evangeline immigrated from Haiti and carved a piece of America for herself. Mabel a long- term resident of Central Drive stays steadfast has her once Caucasian neighborhood turns into an underground financial metropolis. Conjugating twenty-six letters with an imagination to create multi- dimensional characters, evoke emotion, , explain the inexplicable, or to travel to destinations real or imagined is nothing short of magical. I thank the creator daily for this gift; it has bought comfort to this introverted personality in a way no human can. My goal is to tell a truth, not necessarily mine but someone’s truth that may not have the tools to articulate it for themselves. When I wrote "360 Degrees" several years ago, I sought to understand how someone could declare war on themselves. I began to write the novel during the crack epidemic that affected many who look like me. What could make someone allow a substance to take control of their entire life and recalibrate one’s moral compass to someone their love ones do not know? Thandisha, the main character in 360 Degrees, was created to explain this conundrum in a way to evoke compassion as opposed to condemnation. 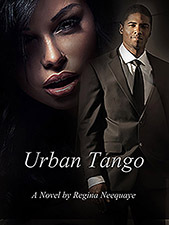 My second novel, “Urban Tango” is a political dance between two nemeses on the opposite sides of the law. The back drop is human trafficking. The victim in Urban Tango is the girl next door, the product of a two parent, upper middle class family. The mother is a principle and the father a doctor. My attempt was to create a character that would make it hard to blame but create a character that someone could see as a victim in hopes that if the reader ever notices something that does not look right, as I did when I saw an older male with two small children and a teenage girl dressed as if she was on display. 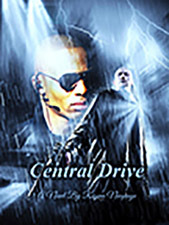 My third novel “Central Drive,” explores what happens to the people left behind when a neighborhood hero, a symbol of hope is killed by the police. The community comes together and is determined the police will not get away with this murder this time. The way the murder is solved is amazing. My goal is to write multi-dimensional characters that the reader thinks of long after they have turned the last page. I hope you will become a reader and enjoy my novels just as much as I enjoyed writing them. One more thing; writing is kind of schizophrenic. Just as I a completed Central Drive, Stacey, a character in Urban Tango advised me that it is not over. Look for "Slay" in late 2020.